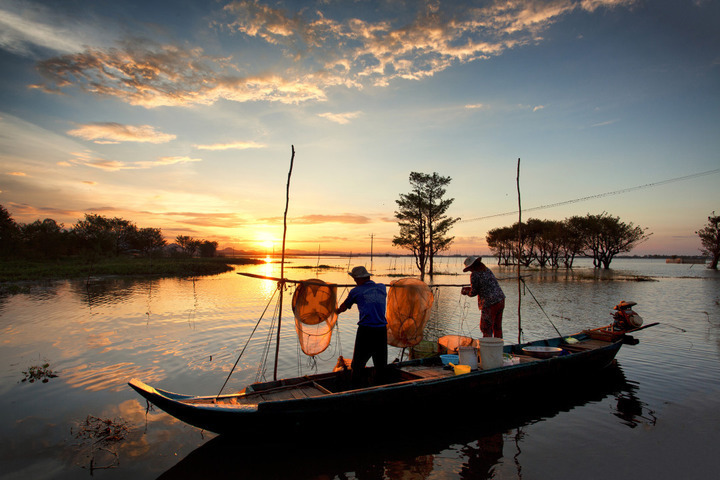 From locals fishing in the rivers or planting and harvesting the crops to supplement their income to the colorful floating markets selling flowers, vegetables, tropical fruit and food, the Mekong Delta in Southern Vietnam is at its glory and busy with vital activities from dusk till dawn. With the temperatures of about 25-28 degree Celsius, which vary only a few degrees together with a few days during a year having the temperatures of below 20 degree Celsius, the climate in the Mekong Delta makes it ideal to visit at anytime of a year. 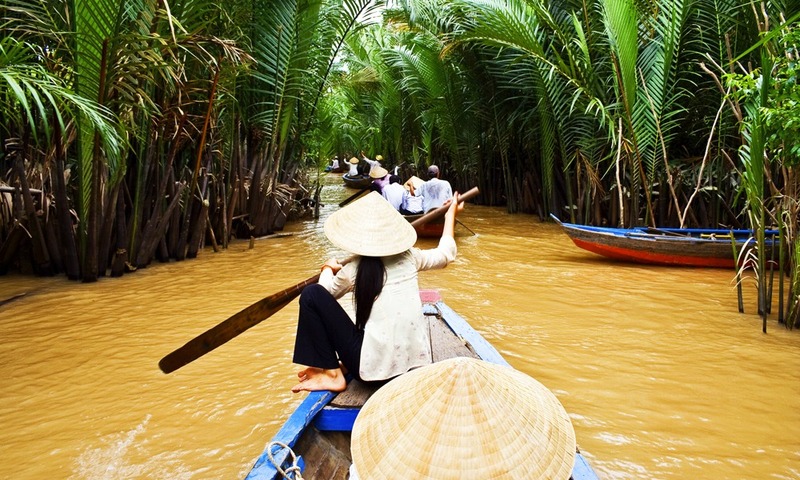 Even though the most favorite time to travel in the Mekong Delta is the dry season from October or November to April or May, the rainy season lasting from May to October can also be a time to go to this region. 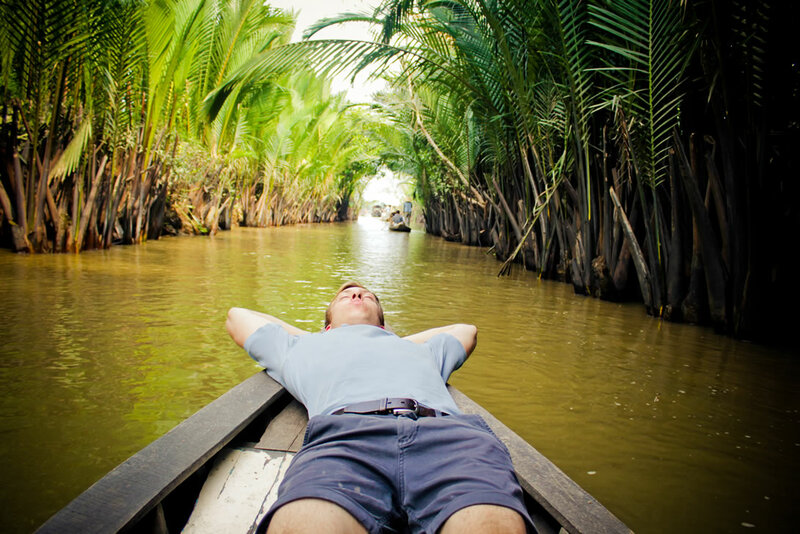 These prominently natural features of the Mekong Delta are what you cannot find elsewhere in the world. The Mekong Delta many good conditions for developing agriculture and fishery industry thanks to its system of fertile soil and complex of canals and rivers. In addition, these favorable conditions are also the advantages to develop economics, society, culture and tourism of the Mekong Delta. Obviously, a cruise on the Mekong River is a must-join activity to discover all the beauty of this mighty area. It is not difficult to find tour options offered by any hotels or hostels you stay or even tailor your own tour suitable for your schedule. Depending on the number of days you spend in Vietnam, you are free to choose from a tour lasting a few hours or an excursion lasting up to a couple of days. It is certain that accommodation is included in your a-few-day entire package tour. 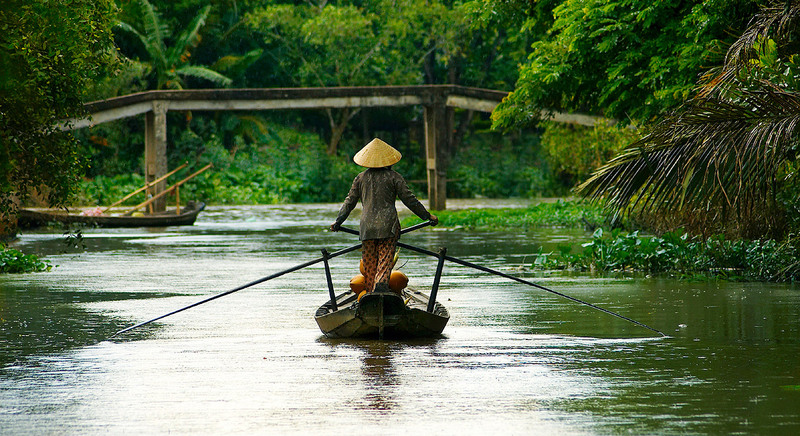 No matter how long your cruise is, a fascinating exclusive river cruise on the enormous waterways of the Mekong Delta in the Southern region of Vietnam will certainly treat you to something brand new and stunning! Due to the large number of tourist sites to choose from, you may find it tricky to choose places to visit in the Mekong Delta. Some of the top destinations you should not miss to visit are Can Tho, Ben Tre, Vinh Long, Phu Quoc, Tra Vinh, etc. What is waiting for you on a boat cruise on the Mekong River waterways? The most eye-catching sceneries of this complex system of channels you can expect from the boat should be spectacular sights of quiet stilt houses, colorful lush fruit gardens as well as these warmly beautiful smiles of locals. While this scenic boat trip is taking you through this huge delta, you will not only immerse in the bustling atmosphere and vivid colors of these floating markets, but also get a closer glimpse into the rural Vietnam as well as experience the daily activities as well as the unique culture of people around the Mekong River. On this land of many ethnic groups, Kinh, Khmer, Chinese and Cham groups live harmoniously to develop regional culture, economics, society, etc. For these hospitable, honest and warm-hearted local people, the most important thing in their emotional life is to help each other to overcome difficulty.